If you have any hope of your book becoming popular and selling, it must look and read like a professionally designed and edited book. 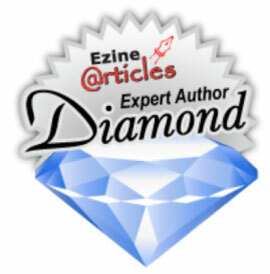 This will immediately show your audience that you have respect for yourself, your readers, and your subject matter. All of this will help you build a dedicated audience that will take you and your advice very seriously, and continue to buy and read your publications for a long time to come. 1. 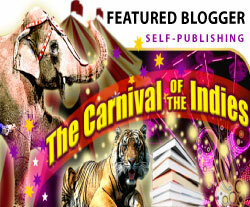 You will learn about the most common mistakes non-fiction authors make when creating their book. 2. You will learn how to recognize these mistakes, and how to fix them. 3. 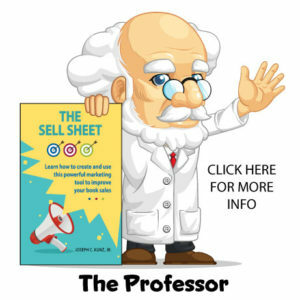 You will learn how and why avoiding these mistakes in the first place will help you sell more books. If you have any hope of your book becoming popular and selling, it must look and read like a professionally designed and edited book. By this I mean that your book must physically look great, inside and out, and the content must be well presented, easy to follow, and well-thought-out. All of this might sound obvious at first glance, but it takes a lot of work and planning to make it all come together properly. And, unfortunately, your book might never find an audience because of these fatal mistakes. 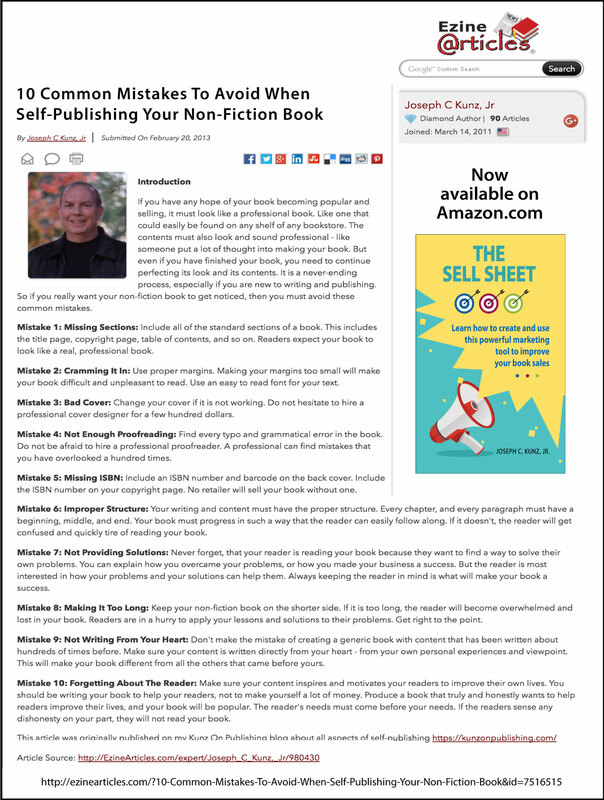 So, with all of that said, if you want your non-fiction book to get noticed and purchased, and impress your clients, then you need to avoid these common mistakes and pitfalls that are listed here. I developed this list from my own reading experiences. 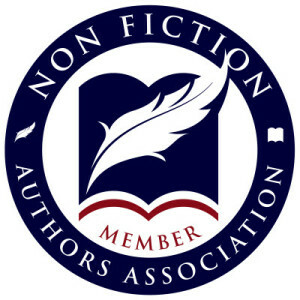 I read a lot of non-fiction books and have realized that these mistakes are not only limited to small publishers and new authors. I see some of these same problems in the publications of some of the largest publishers. 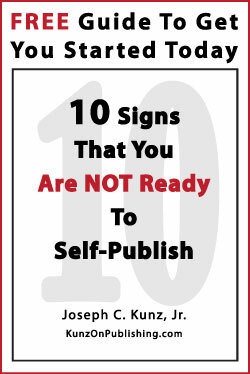 And please, never forget, that as a self-publisher, YOU are solely responsible for your book’s success, and your reputation, so you need to be especially attentive to avoiding these mistakes. Mistake # 1: Missing Sections: Include all of the standard sections of a book. This includes the title page, copyright page, table of contents, and so on. 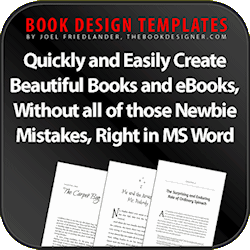 Readers expect your book to look like a real, professionally edited and designed book. Mistake # 2: Cramming It In: Use proper margins. Making your margins too small will make your book difficult and unpleasant to read. Top, bottom, inside, and outside margins are each different, and each needs to be the appropriate size. And always use an easy to read font for your text. Mistake # 3: Bad Cover: Change your cover if it is not working. Do not hesitate to hire a professional cover designer for a few hundred dollars. We all know about first impressions, and what they will do to your sales, and your reputation. Mistake # 4: Not Enough Proofreading: Find every typo and grammatical error in the book. Do not be afraid to hire a professional proofreader. A professional can find mistakes that you have overlooked a hundred times. Mistake # 5: Missing ISBN: Include an ISBN number and barcode on the back cover. Include the ISBN number on your copyright page. No retailer will sell your book without one. 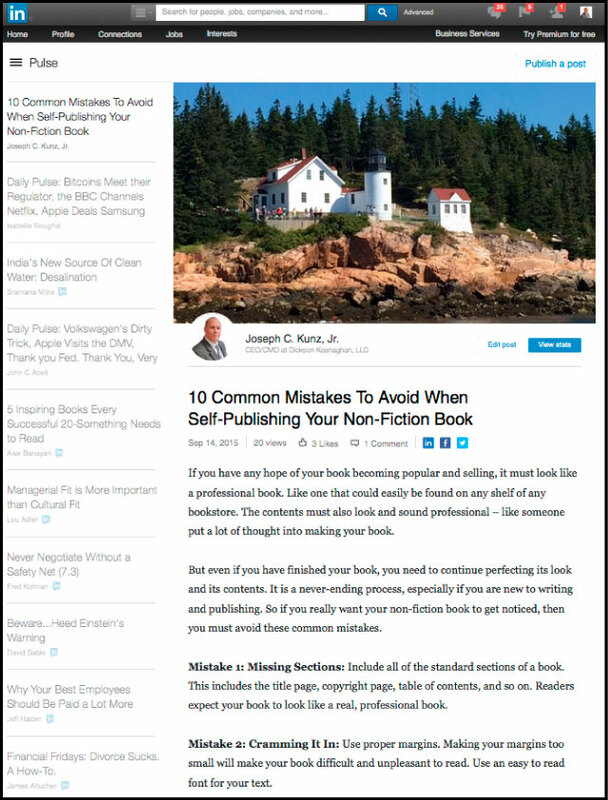 Mistake # 6: Improper Structure: Your writing and content must have the proper structure. Every chapter, and every paragraph must have a beginning, middle, and end. Your book must progress in such a way that the reader can easily follow along. If it doesn’t, the reader will get confused and quickly tire of reading your book. Mistake # 7: Not Providing Solutions: Never forget, that your reader is reading your book because they want to find a way to solve their own problems. You can explain how you overcame your problems, or how you made your business a success. But the reader is most interested in how your problems and your solutions can help them. Always keeping the reader in mind is what will make your book a financial and critical success. Mistake # 8: Making It Too Long: Keep your non-fiction book on the shorter side. If it is too long, the reader will become overwhelmed and lose interest in your book. 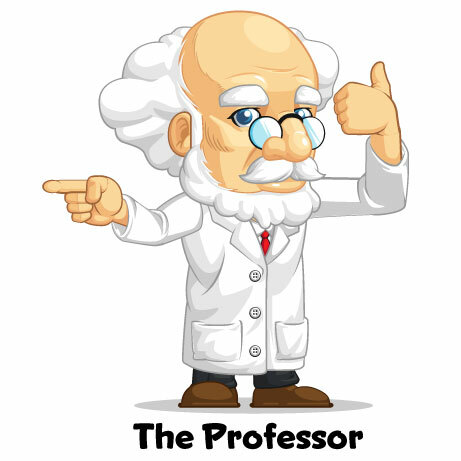 Readers are in a hurry to apply your lessons and solutions to their problems. Get right to the point. Mistake # 9: Not Writing From Your Heart: Don’t make the mistake of creating a generic book with content that has been written about hundreds of times before. 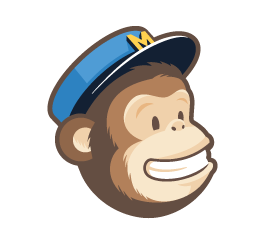 Make sure your content is written directly from your heart – from your own personal experiences and viewpoint. Don’t sugar-coat or spin the mistakes and problems that you had to deal with. This honesty, sincerity, and sharing will make your book different than all the others that came before yours. And this is the best way to make an emotional connection with the reader. Mistake # 10: Forgetting About The Reader: Make sure your content inspires and motivates your readers to improve their own lives. Your mind-set should be that you are writing your book to help your readers, not to make yourself a lot of money. If you produce a book that truly and honestly wants to help readers improve their lives, then you and your book will be respected and read. The reader’s needs must come before your needs. If the readers sense any dishonesty on your part, they will not read your book. And they won’t buy your next book. By creating a well-produced, well-crafted, and professional-looking book, you will immediately show your audience that you have respect for yourself, your readers, and your subject matter. All of this will help you build a dedicated audience that will take you and your advice very seriously, and continue to buy and read your publications for a long time to come. 1. What big mistakes did you make when creating your book? 2. Did you recognize these mistakes before, or after, you published you book? What did you do then? 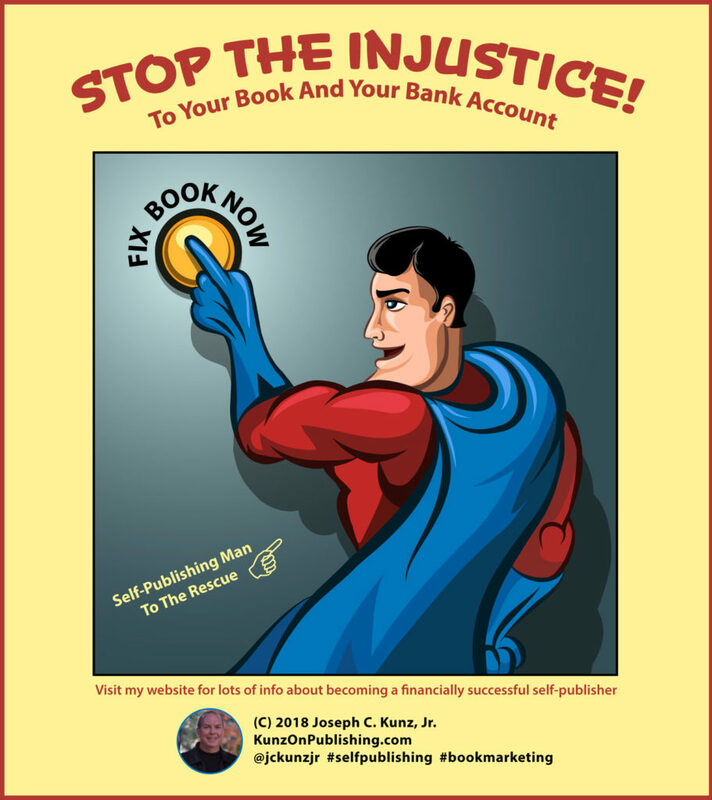 Do We Write Books For “Financial Success” Or “Critical-Acclaim”? 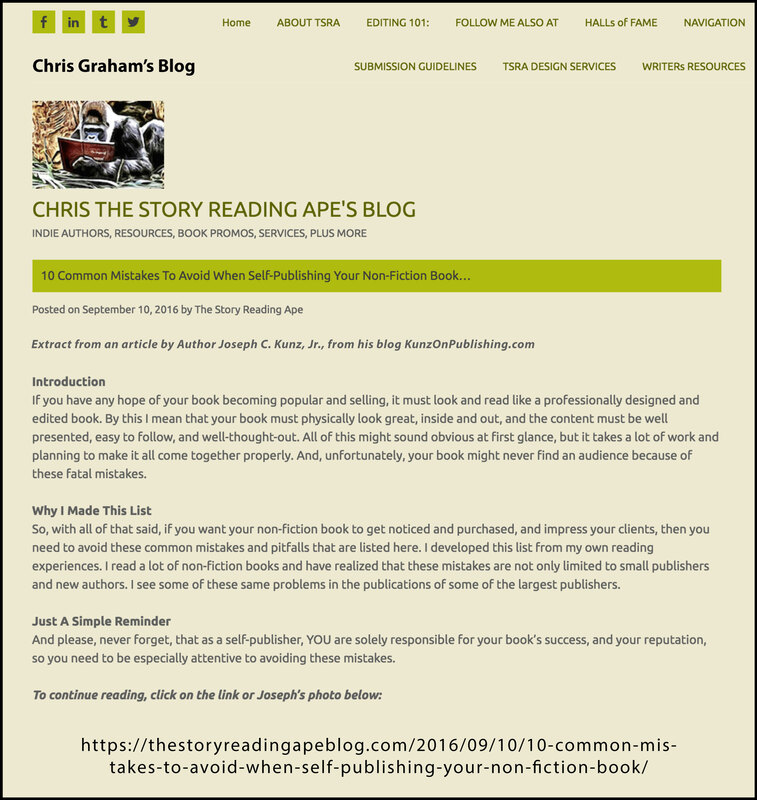 This entry was posted in Book Cover, Design, Front Matter, ISBN's, Podcast, Retail Sales, Self-Publishing and tagged Book Design, Book Marketing, Cover Design, Design, Grammar, Podcast, Self-Publishing, Writing Mistakes. Bookmark the permalink. Joseph, this is valuable stuff. I am in the middle of writing my own book and i can clearly see the points you have mentioned above! Great stuff. Hi Sam, Thank you very much. Good luck with your new book. Thank you for the tips. If I ever do manage to publish a book, it will certainly be non-fiction. You are very welcome. I hope they help.